Ball mill is typically a grinder used for grinding or mixing materials into extremely fine particles or powders. Ball mill works on the principle of impact where the grinding media are balls made of chrome steel, stainless steel or rubber. Ball mill is extensively used for grinding crushed materials in various production lines for powders such as cement, fertilizer, pyrotechnics, refractory material, silicates, paints, laser sintering, glass ceramics as well as for ore dressing of both, black and non-ferrous metals. Chrome steel balls are used as grinding medium in ball mills because they are low cost and high energy-efficiency due to its low medium of grinding. Additionally, a ball mill adapts for open as well as closed circuit grinding and for batch and continuous operations. The major concern with most of the industries is the high maintenance costs of grinding mills which in turn contribute to excessive operating costs. The integrated drive system coupled with grinding chrome steel balls in the ball mill is extremely energy efficient helping operators to produce finished materials at the lowest possible cost per ton. It was observed that there is a huge demand for chrome steel grinding media balls due to technological improvements, optimum efficiency, reduced downtime and increased output. This trend is enhancing the production goals and operating economics. According to the study “Asia Chrome Steel Grinding Media Balls Industry Situation and Prospects Research report”, various grinding media are used to finely grind materials to a size which allows recovery of the desired product. The different forms of grinding media are balls, cylpebs, rods or even beads. The technical barriers of various grinding media are relatively not high, resulting in numerous leading vendors. Magotteaux, AIA ENGINEERING LIMITED, Estanda, Christian Pfeiffer, TOYO Grinding Ball Co, Scaw, FengXing, Ruitai, Qingzhou Dazhong, Zhangqiu Taitou, Jinchi Steel Ball, NingGuoXinMa, DongTai and Zhiyou are the leading vendors in Asia chrome steel grinding media balls industry. 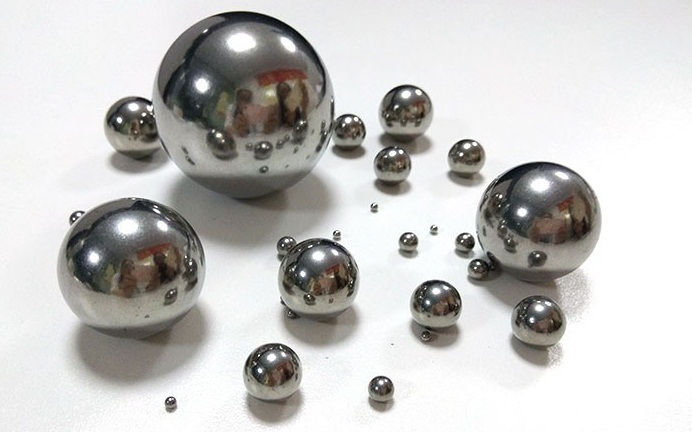 Chrome steel grinding media balls are used in various industries due to its efficiency as well as durability in industries such as cement, metallurgy, thermal power, chemical engineering, ceramic & coating, papermaking, magnetic materials, and others. The major consumers of chrome steel grinding media balls are power plants and metallurgy industries which account for more than 70 % of the total. The varying applications of high chrome steel grinding media balls are paint industry, ink industry, cosmetics industry, and metal powder industry. The chrome steel grinding media balls possess properties such as high quality, reasonable price, on-time delivery, dimensionally accurate, durability and sturdiness. All the leading players are focussing on technological innovations, equipment upgrades, and process improvements to improve quality at low cost. The improvement in energy, transportation cost, employee wages, and equipment depreciation has led to the decrease in the cost of chrome steel grinding media balls. Chrome steel grinding media balls are tough and long lasting that will help in reducing the processing cost within an industry. Steel, carbon, silicon, sulfur, manganese, phosphorus, chromium and others are used in the manufacture of high chrome steel grinding media balls. With industrialization and wide use in milling and processing applications has encouraged a positive growth in Asia’s chrome steel grinding media balls market and will continue over the next few years.